Most of us have heard the term, “my home is my castle”, and when flipping through the pages of English history there were many great castles and halls of kings that served as monumental, mighty fortresses. But behind the impressive medieval spires how sanitary were the most luxurious residents in the Western World? How clean is your modern-day castle? Unfortunately for the sovereigns of old, there were no mold removal companies to step in and remediate the grand banquet halls, but you can take advantage of our modern time and look for a company that offers a free mold inspection—it will give you some peace of mind knowing that your home and family are safe from its dangerous black spores. Mold can grow in most environments where there is a high moisture index and an organic or sub-organic surface to cling to. Considering the fact that 15th and even 16th century castles were built from mud, straw and rock coupled with poor sanitation, and that English weather patterns of continuous rainfall drenched the moors, there should be no surprise that mold was an issue and caused numerous health problems. In fact, many scholars and researchers have argued that that the 15th century Sweating Sickness was likely contracted through animal dung and mold spores. Henry Brandon, 2nd Duke of Suffolk died from the sickness in 1551. It is also believed that Arthur, Prince of Wales and older brother of Henry VIII died from this illness while Catherine of Aragon recovered from it (only to be poisoned some 30 years later…se le ve). Signs of mold from various English castles are still present and can be viewed today. Highclere Castle has a mold problem with spores dating back to hundreds of years that spell out a mold removal bill of 12 million British pounds (about 2.3 million dollars). Due to the advancements of medical science, the threat of mold has been elevated to extreme points in the global conscience and therefore public safety is a huge concern for moldy matters such as this. 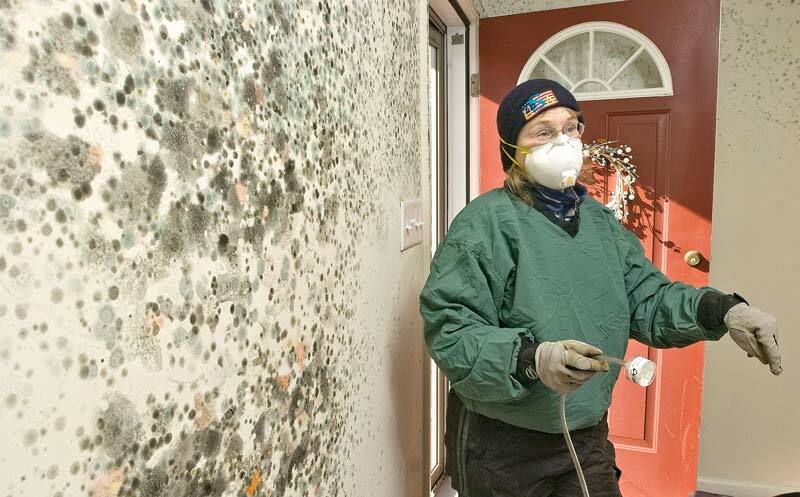 Under no circumstances should a homeowner be put in a position to live with a mold problem, regardless of the size or direct location. Mold can cause a number of illnesses that include respiratory problems, asthma and even lung disease. Mold can also give people headaches, and headaches make most of us cranky! Your home may be your castle, but you don’t have to treat it like a literal one by living alongside mold problems the way the royals did. Call a certified mold technician to come be your white knight for the day and clean your home of mold the way Henry VIII cleared the countryside of monasteries during the English Reformation!